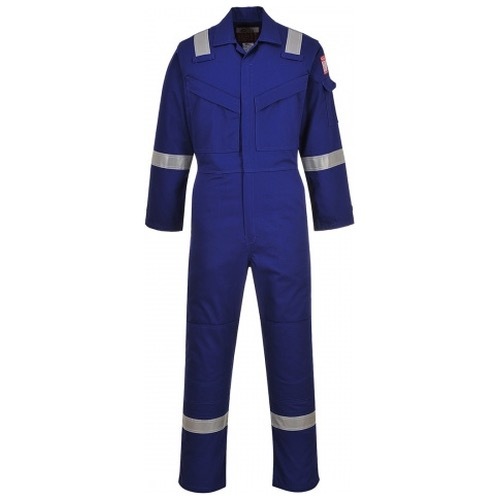 This Portwest FR50 coverall is perfect for the demands of the offshore industry. Constructed with a highly innovative flame-retardant fabric with high visibility reflective tape double stitched for enhanced visibility. 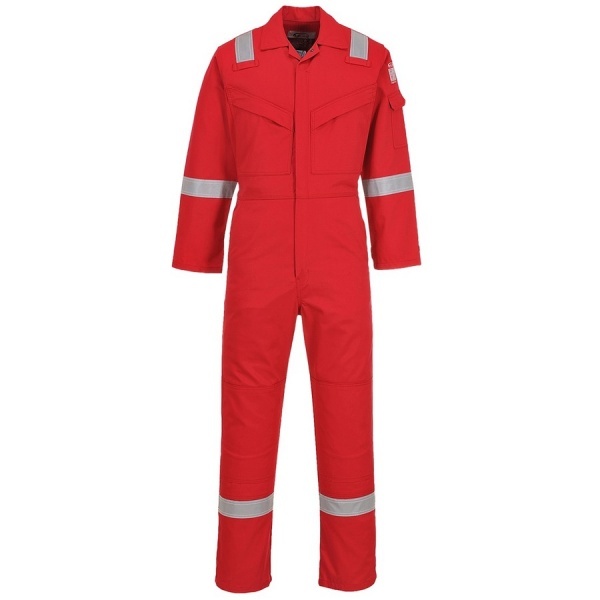 Meeting all the required EN standards, features include triple stitched seams, high visibility strips on shoulders, arms and legs, concealed 2-way front brass zip and two front slant chest pockets with concealed brass zips. 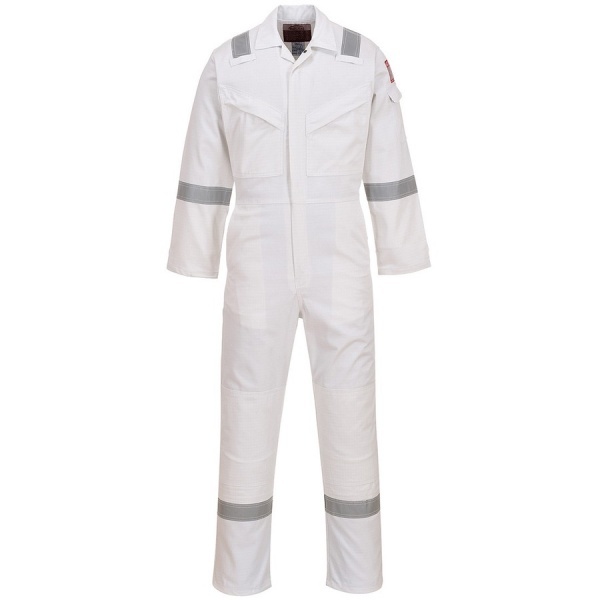 Bizflame Plus has been developed and designed using a highly innovative flame resistant fabric with added anti-static properties. 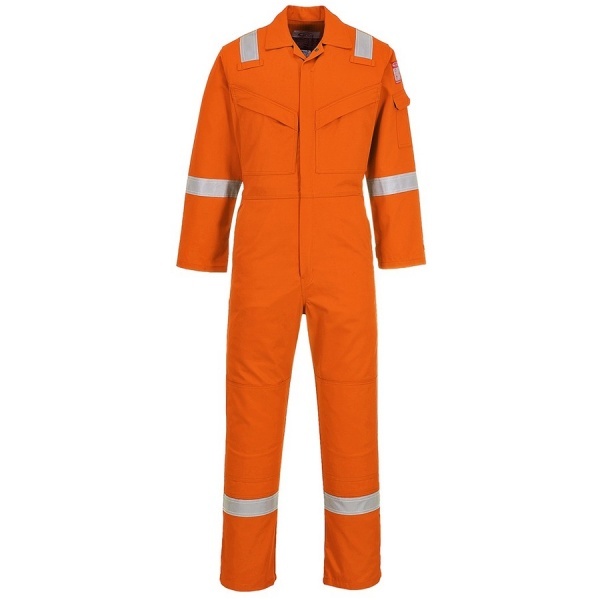 Constructed from 99% Cotton and interwoven with 1% carbon fibres, 350g. 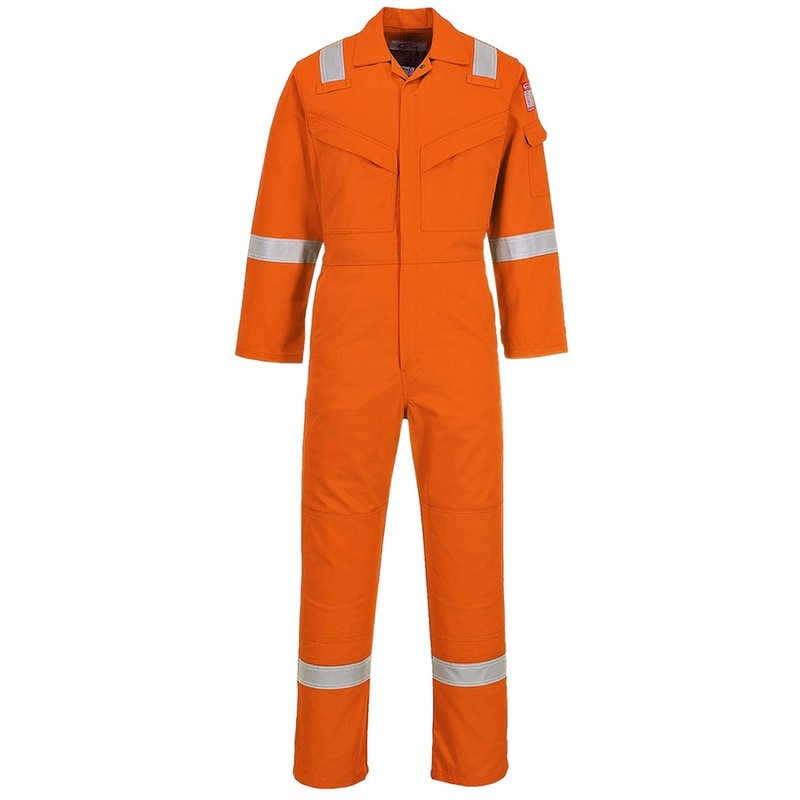 Excellent tear and tensile strength offer durability while the premium quality cotton fabric unrivalled comfort. 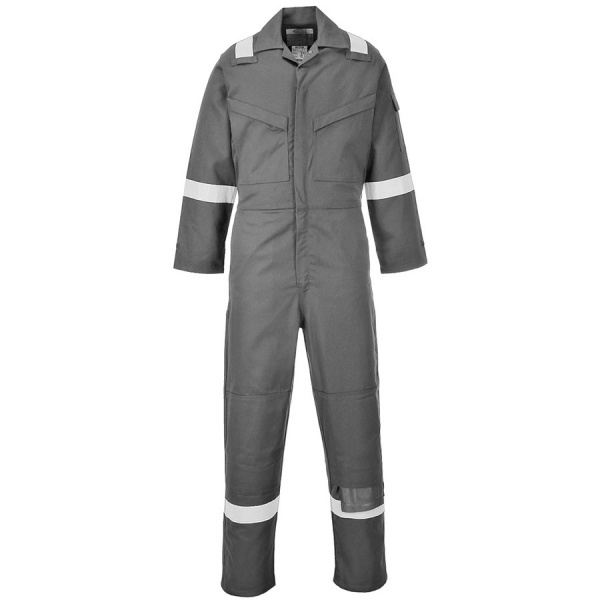 Inherent anti-staitc carbon fibre.